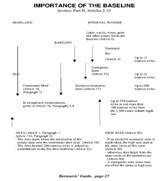 - appropriate points along a deeply indented coastline or a fringe of islands close to the coast can be used for establishing the baseline. - off-shore installations and artificial islands do not possess the status of islands and do not have any effect on the establishment of the baseline. 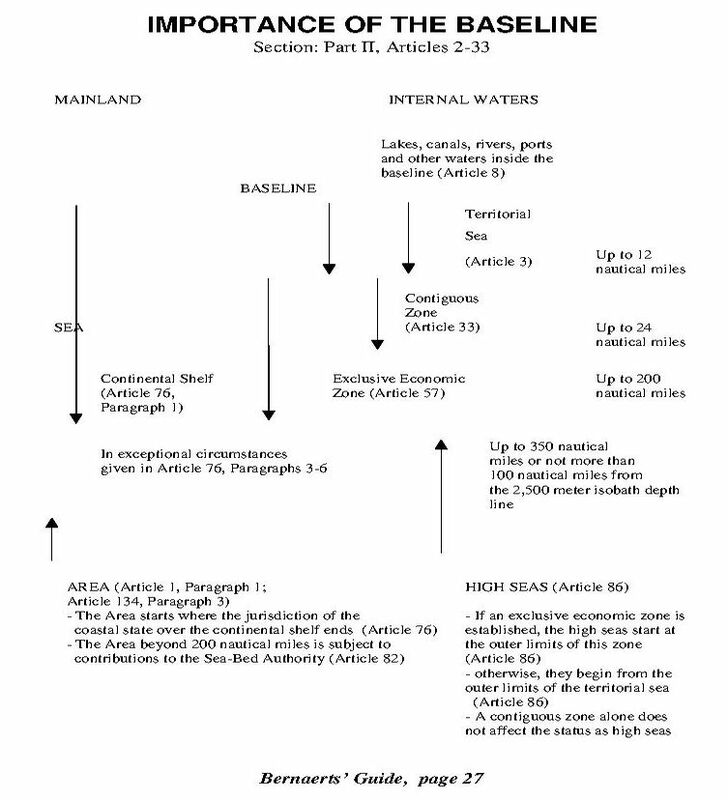 The coastal state is to deposit charts or lists showing the baseline with the Secretary-General of the United Nations.